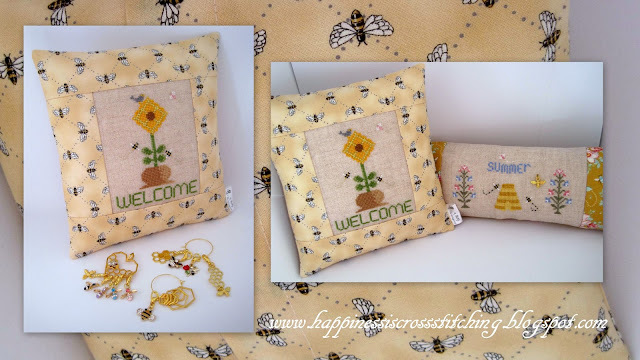 Welcome to Freebie Friday, here is the welcome pattern finished into a small pillow, I purchased the bee fabric last year from Ray's Stitch in London and I love it. The Summer Pattern stitch along starts on Sunday 24th March, all participants who send me a photo of their finished pillow will have a chance of entering my giveaway which will allow one winner to win a small pillow made by me and choose some bee charms from my Etsy shop here and depending if I am in a stitching mood I may add an extra surprise for the winner. 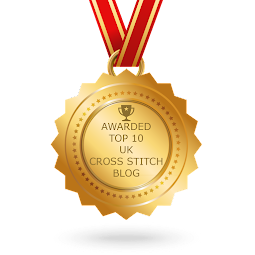 I will be posting about the stitch along on Sunday, so please pop back then to see the details. 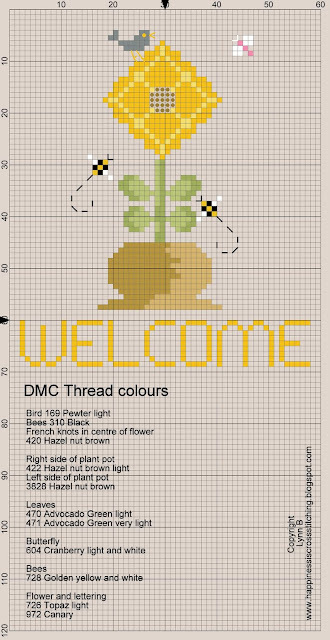 The welcome pattern is available below. I have been restocking my Etsy shop this week with some gorgeous Just Nan cross stitch patterns but there will be more stock added by the end of next week, including patterns from Cuore E Batticuore, Little House Needleworks and Mirabilia amongst others, there is only one problem, I want to stitch them all! I have put my sewing machine into my new craft room today, hence the reason I managed to make this little pillow, it was so lovely to sit at my sewing machine after all this time, at least I can now get around to doing lots of finishing on some pillows I have half finished. I felt like I was in the middle of a birthday cake, the pink walls and white ceiling are just so yummy! I will keep you updated as I make progress, I may even make a YouTube video of the room! It will be at least the end of April before we make much more progress, I may even plan a giveaway to celebrate the opening! 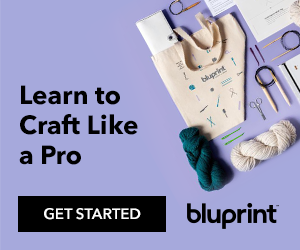 I am having problems receiving comment emails after they have been published on my blog, they are by passing my email inbox and I don't know why, some are just getting lost forever. I do apologise in the delay in getting back to anyone but I will do my best to locate any that have gone astray, I have sometimes found them in my spam box! This is the reverse side, I have made it so that the pillow insert can be removed to allow for washing. Please let me know if you have problems accessing the pattern. If you prefer you can simply right click on the pattern grid below and save to your computer. Click on the image and then right click again to save to your computer. Such a darling project - cannot wait to see your finished craft room! 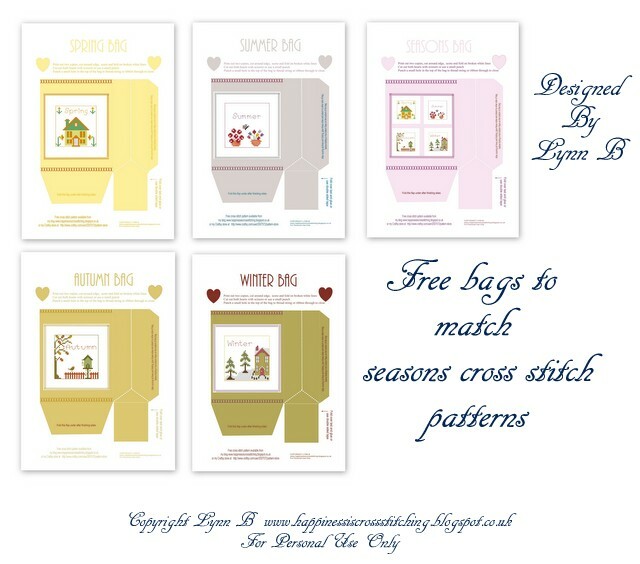 Thank you for the lovely charts ,I will be starting on Sunday , looking forward to be seeing your craft room soon hoping to get some ideas from you. Oh my gosh, Lynn! Let ve how the fabric compliments your design. bravo! You must be thrilled about your craft room. It does sound lovely. Can't wait to watch your youtube. Your bee patterns are sweet and I love your fabric. 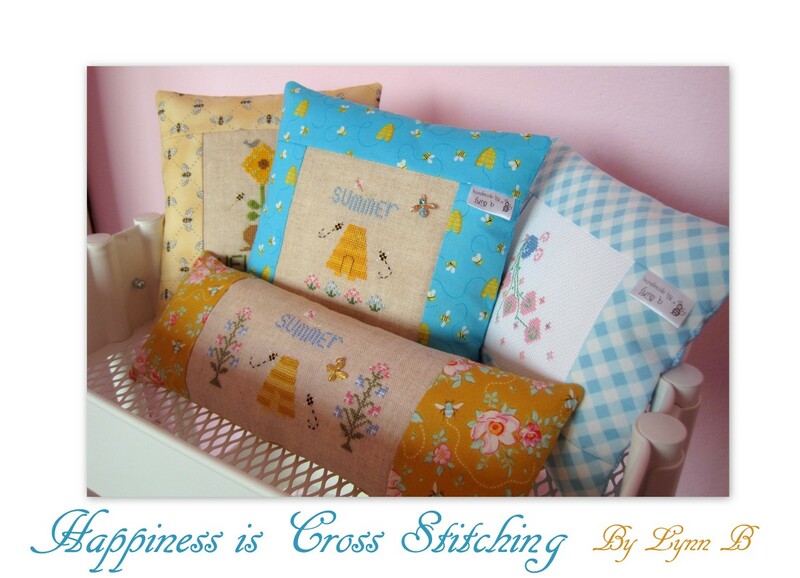 Such a lovely finish Lynn - the bee fabric is precious. I often use the pillow back finish for my pieces - even though it's a bit extra work it is a nice finish. Thanks for the freebie. Looking forward to your craft room reveal. BTW, it might be email addresses that are NOT gmail that aren't going to your inbox - Google seems to be getting very proprietorial. Thank you, Lynne. Such a "springy" design. Can't wait to see your finished craft room. A video would be awesome! I absolutely love the finished pillow. Do you have the fabric available in your shop? Lynn: The pillow is so sweet, the coordinating fabric is perfect. I am looking forward to seeing the finished sewing/craft room. Thanks so much for this charming freebie! It'such a lovely welcome! Thank you!!! Are you ready for the stitch along? 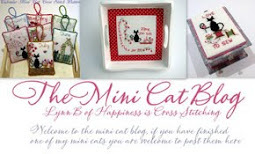 New craft room news and stitch along anyone?